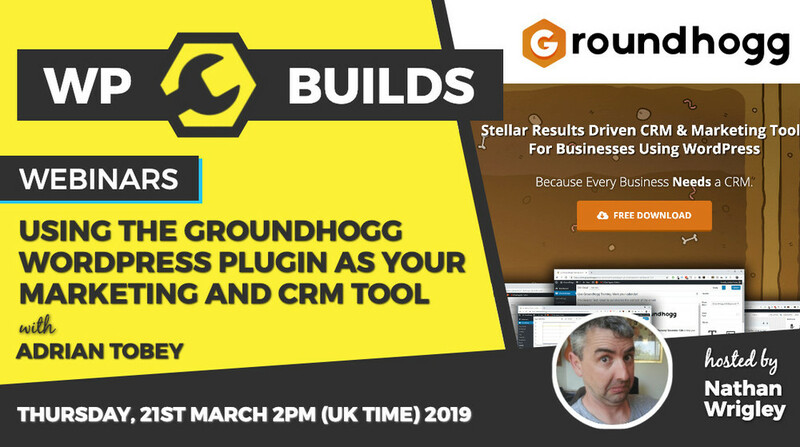 In this webinar we will show you how you can use the new Groundhogg WordPress plugin for all of your marketing and CRM automations. This powerful tool allows you to set up your automation sequences with a simple drag and drop interface. If you're tired of paying for a multitude of services and would like to use your WordPress website to handle it all, then this might well be the plugin that you've been waiting for. There's a full featured free version as well as a few extra premium addons, which means that you've got no reason to hold off giving it a go! Come and join us on the webinar to find out how it all works and how you can set up your automations from the person who really knows how to use it - the creator of Groundhogg! Arian Tobey is the founder of Groundhogg and is an all-round email marketing expert. I was not able to log in. I tried many times for 20 minutes on Chrome and Safari. I then tried again toward the end and got in. If you're tired of paying for a multitude of services and would like to use your WordPress website to handle it all, then this might well be the plugin that you've been waiting for. There's a full featured free version as well as a few extra premium addons, which means that you've got no reason to hold off giving it a go! Come and join us on the webinar to find out how it all works and how you can set up your automations from the person who really knows how to use it - the creator of Groundhogg!